Termites cause over 5 billion dollars in damage to homes and businesses each year. They infest structures and do more damage than fire, hurricanes and tornadoes combined. While homeowners insurance will help cover losses from natural disasters, they almost never cover termite damage. In South Georgia, we have one of the highest concentrations of termite colonies in the country. There are on average, 8-12 termite colonies per acre in our area. That’s a lot of termites. Whether it’s a conventional liquid barrier treatment or the Sentricon Colony Elimination System, your ADAMS professional has the experience and knowledge to provide you with the termite control and protection that is best for your home. After your home has been treated and placed under guarantee, termites are no longer your problem. If live termites are found at your home, don’t worry, we will treat the active infestation and repair the damage they caused at no cost to you. There is no deductible and no hoops to jump through. 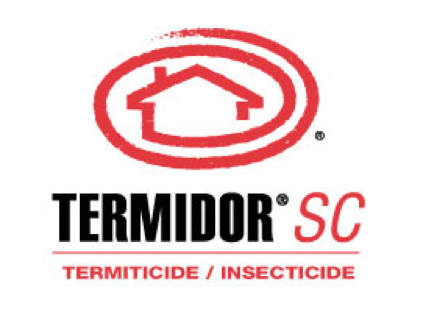 Adams Exterminators was the first pest control company in Southwest Georgia to become an authorized operator for the Sentricon® System. Sentricon® provides homeowners with an alternative to traditional liquid treatments and does not require any drilling into the foundation or floors of your home. Sentricon® is the proven leader in termite baiting systems and this is backed by the research of over 30 universities and the US Department of Agriculture. Over two million homes are currently protected by the Sentricon® system including the White House and other national treasures. Sentricon® stations are installed at precise intervals around your property. As worker termites forage for food, they ingest the bait and feed it to other members of the colony. The active ingredient in the bait prevents the termites from being able to molt which results in the death of the entire termite colony. Our technicians monitor the stations periodically for signs of termite activity and replace baits as needed. Installation and monitoring are minimally invasive and do not require drilling or digging trenches around the foundation of your home. Sentricon® is the only termite treatment to receive the Presidential Green Chemistry Challenge Award and will save hundreds of gallons of water required for traditional termite treatments. Over the last 40 years, our technicians have treated thousands of homes in Southwest Georgia using liquid barrier treatments. During this period the types of products used have changed dramatically. At Adams, we use nonrepellent termiticides that are undetectable by subterranean termites. Our product of choice is Termidor. Termidor uses an advanced undetectable liquid technology. Termites cannot see, smell, taste, or avoid it. Not only do termites die after ingesting Termidor, but through the transfer effect, they infect other termites in the colony they come in contact with. To schedule a free home evaluation, please call 229-435-6257.